Managing Wi-Fi smartly in your business can do more than simply providing a wireless service; it can unlock new revenue streams and boost productivity. At Commandacom we believe technology is not just something we work with, but something that also works for us. As Xirrus partners we offer world leading Wi-Fi technology that gives you total control and peace-of-mind over your Wi-Fi network, with a range of solutions to fit the needs of your business. For many businesses such as cafés, bars and restaurants Wi-Fi has become an essential feature customers not only expect, but demand. The benefit for businesses is that customers will stay longer, and are likely to spend more. However, if not managed properly poor Wi-Fi networks can detract from the customers’ experience or be vulnerable to hackers. Businesses that require Wi-Fi access for staff (and their multiple devices) also benefit from a strong network that minimises service disruption and prioritises work-related data usage, not to mention the security aspect. Perhaps the most exciting ability of a Xirrus Access Point (AP) is how it can gather user analytics to help grow your business. The better you know your customers, the better you can tailor effective marketing and advertising to them. Xirrus APs are secure, user-friendly, and give you total control of your Wi-Fi network. The AP can be configured to block or limit traffic for certain apps (like social media) or give apps priority (again, social media in a café setting for example). Multiple guest access methods can be configures including: single click sign-on, vouchers, social media credentials, paid or tiered services and even personalised/private wireless services. 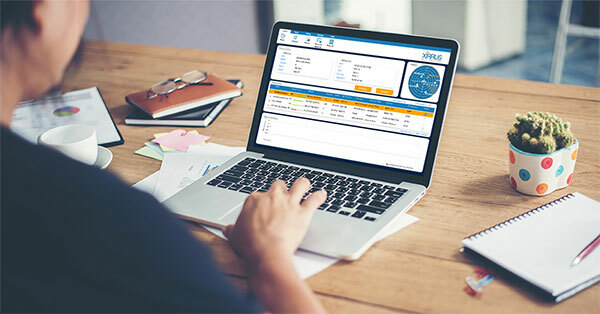 To help manage bandwidth Xirrus solutions have highly adjustable services and policies for guests, staff and even equipment like point-of-sale machines, which allow you to better regulate and isolate network traffic. For more information about Xirrus products and what they can do for your business contact the team at Commandacom today!